Syn's new passive powerhouse pushes almost 18K while retaining detail and dynamics. Utilizing three precision milled ceramic-8 magnets and topped with a Black German Silver cover with Syn's logo boldly etched. Each pickup is hand wax potted to eliminate feedback and squeal, even at ungodly volumes. 4-conductor wiring is standard for additional tonal options. 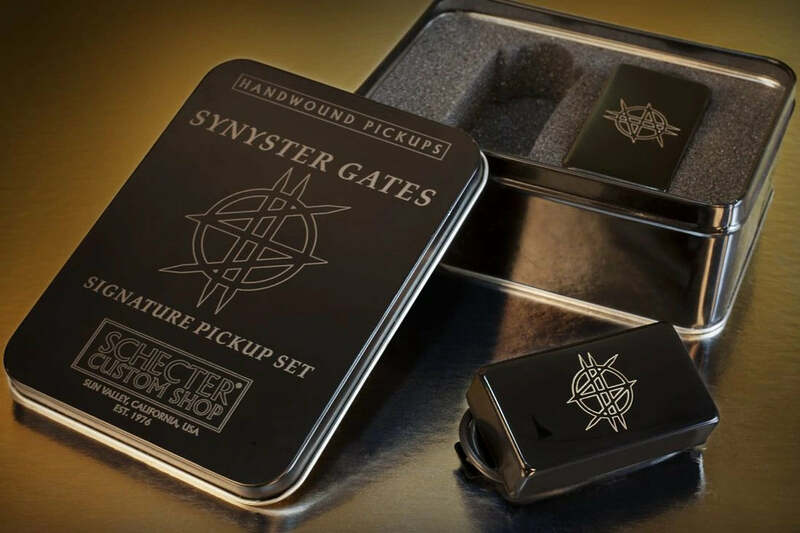 Available in a calibrated set in either 49mm (traditional) and 53mm (Tremolo) spacing, packaged in a matching etched commemorative tin.